Caleb and I have talked about what he wants to get good at. He wants to be a good writer. I told him to start writing stuff. He found a crossword making app and a word search app to help him with the content. He also got some help from his friend Kai for a Reader Picture submission. He needed some help with formatting and layout, but pretty much all the content he put together himself. He has been reading some books on marketing and came up with an idea to pass out business cards. Apparently, there was a lot of advice about how to make your business cards stand out. I had some sheets of Avery “Print-your-own” business cards, and so we designed one together. 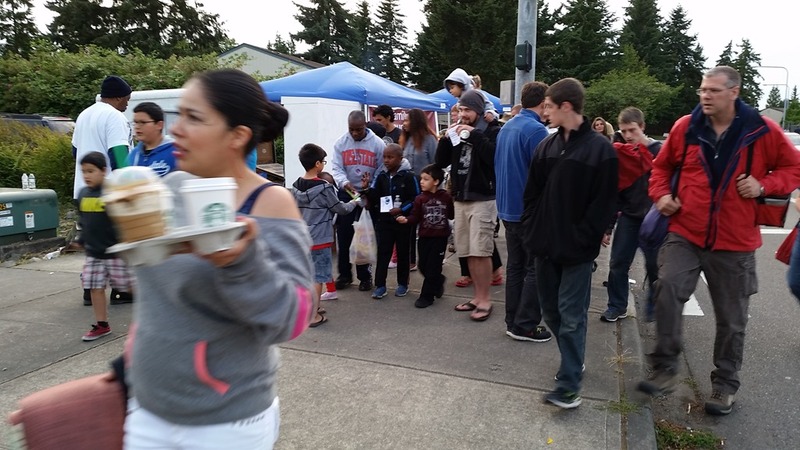 We were planning on going to the 4th Of July fireworks show at Celebration Park in Federal Way. He asked if a lot of people will be there. I said, “Yes, I think there will be a LOT of people.” He smiled and explained that he wanted to pass out his business cards. I suggested he might think about attaching something to the business card that kids might like… like candy. He got 3 bags of dumdums on the next trip to Walmart. During the day, he spent time taping dumdums to 50 business cards. This was going to be interesting… We showed up at the park and found a place to sit. 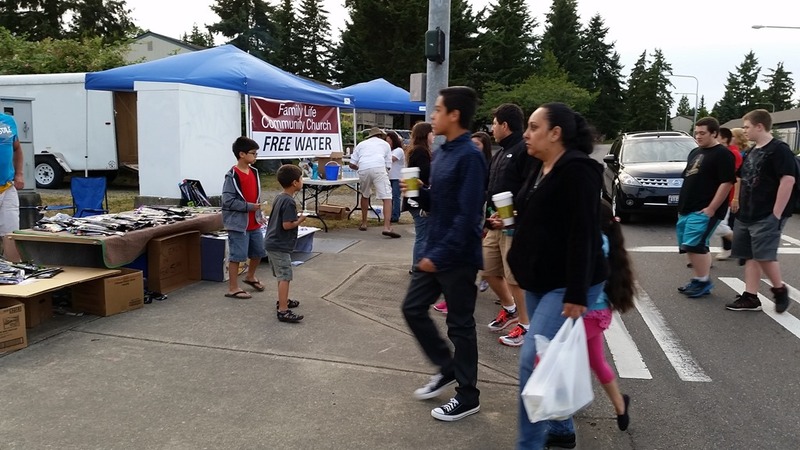 We told Caleb, “Good luck!” and let him wander into the crowded streets of Federal Way. I watched from afar as Caleb grabbed his bag full of business cards and lollipops and strolled into the crowd with his little brother. For the first 5 minutes, they just stood their… frozen…. Tenille and I commented to each other that this might be good practice for Caleb for his mission. Caleb is naturally shy, so getting up the courage to go up to people is kind of a big deal. I would think giving away Lollipops is probably a MUCH easier sell than giving away a Book of Mormon. After some hemming and hawing, they awkwardly made their way to a few kids and asked if they wanted a lollipop. They were so awkward, it seemed like they were trying to trick the other kids… some declined with suspicion… others accepted… with suspicion. After a while, they found themselves in a street corner where crowds of people started flowing in. Caleb started getting more comfortable offering candy to all the little kids – a practice only acceptable if you yourself are a little kid. He was hustling the streets. Pounding the Pavement. Caleb and Andrew distributed all the business cards in about an hour. By the end, he wasn’t a pro by any means…. but he was certainly a lot better than when he started. I think it was a good experience for them both. In the meanwhile, if you have kids – hope you check out his newsletter. Feel free to leave him a comment or email. I am told that the next issue will be on dinosaurs, so you can submit your favorite picture, poem, or story about dinosaurs.